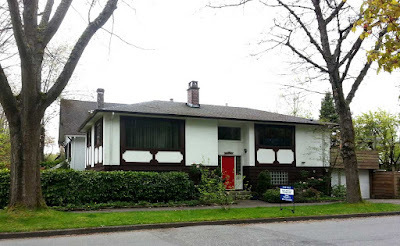 Disappearing Dunbar (Demolitions): Marketed with "As Is, Where Is"
This split-entry house, similar to a Vancouver Special, was built in 1973 on Wallace Street facing the heavily wooded part of Memorial Park West. 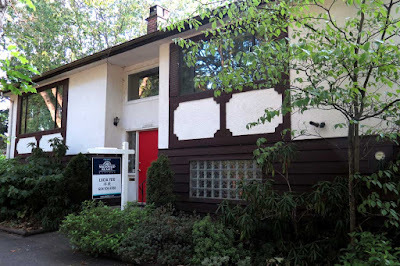 For sale April 2013. Sold May 2013. For sale January 2014 and sold again. For sale July 2015 and sold yet again. This is getting boring. 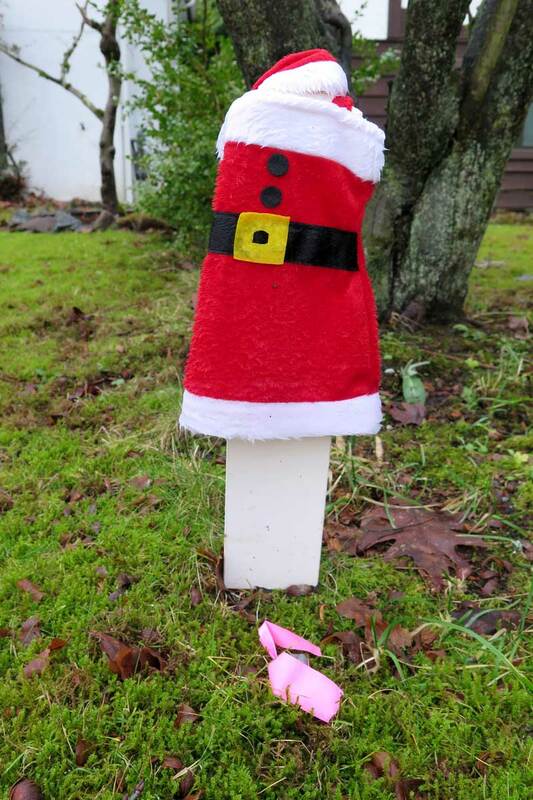 At Christmas time 2014, someone got bored with the surveyer's stake and decided to do something interesting, fitting the marker out with a miniature Santa suit! Probably illegal since it is City property, but fun. 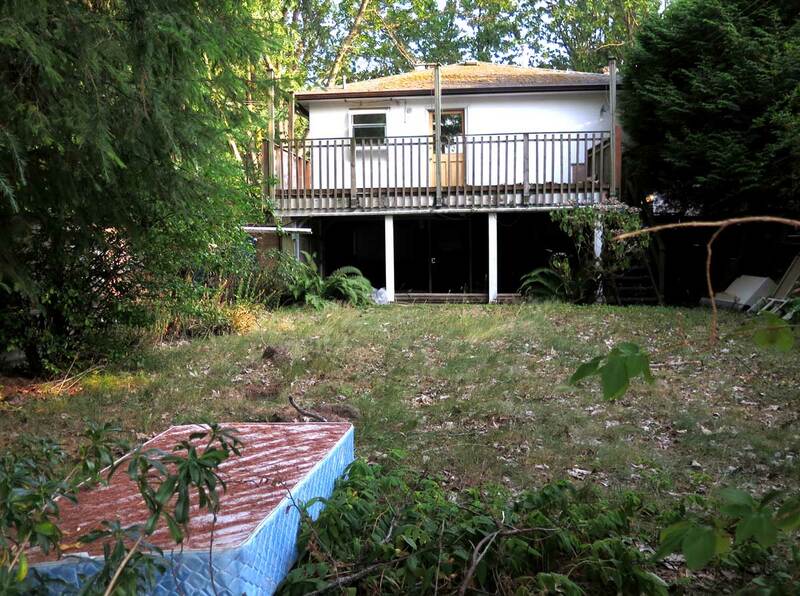 I think the house stood vacant for well over two years. The backyard was a dump. 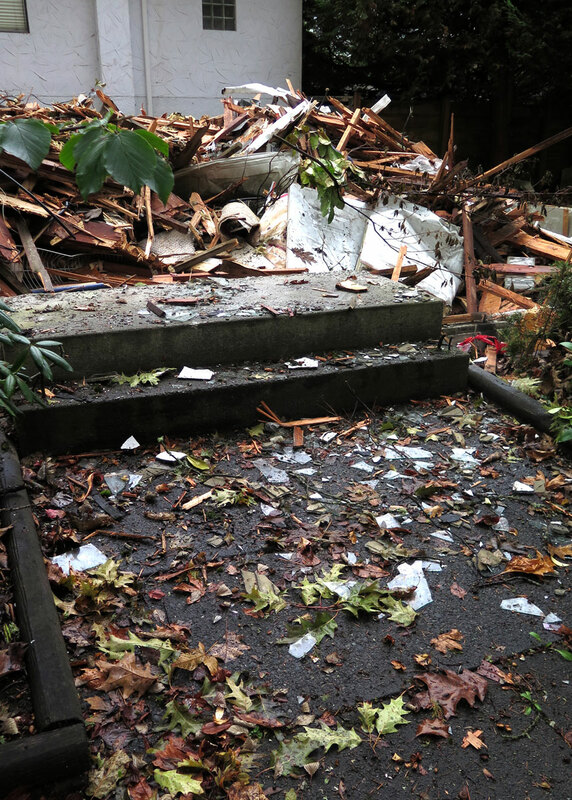 One day when walking by on the lane, I chatted with a nearby neighbour who couldn't wait for the blighted site to be cleaned up. Walking by today, September 18, I saw that the house had been demolished, with broken glass on the former front steps and sidewalk. This house was built in March 1973. It was a custom built house, my father was the contractor. 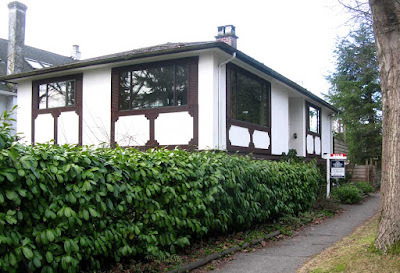 My father built over 100 houses around the city of Vancouver between 1970-1995. Some of the houses were big and swanky and very expensive, but out of all of the houses he built, this one was always my favorite. I was 10 years old when he built the house and I used to ride my bike over to the job site to visit him. The woman for whom he was building the house was very nice but had sort of eccentric ideas. For example, I think there was a specially crafted bannister made out of wagon wheels. I'm compiling a book for my Dad with photos of all of the houses he built, when I drove by this house to take a photo, my heart sank when I saw that it was gone. Thank you for this early history of the house. I wonder if the original owner stayed there for 40 years. You may use my photos for your book if you wish.